Fotografije dana: 30. jul 2017. 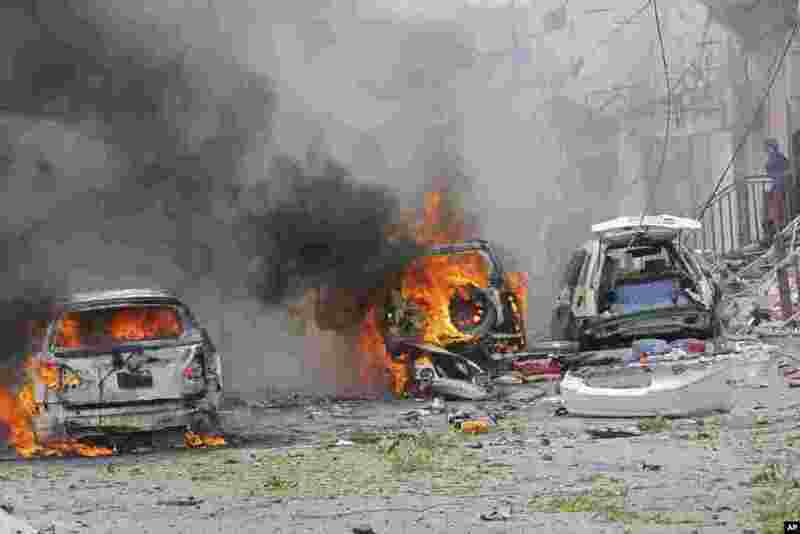 1 Vehicles burn after a car bomb explosion in the Somalian capital. A police officer says a car bomb blast near a police station in Mogadishu killed at least five people and wounded at least 13 others. 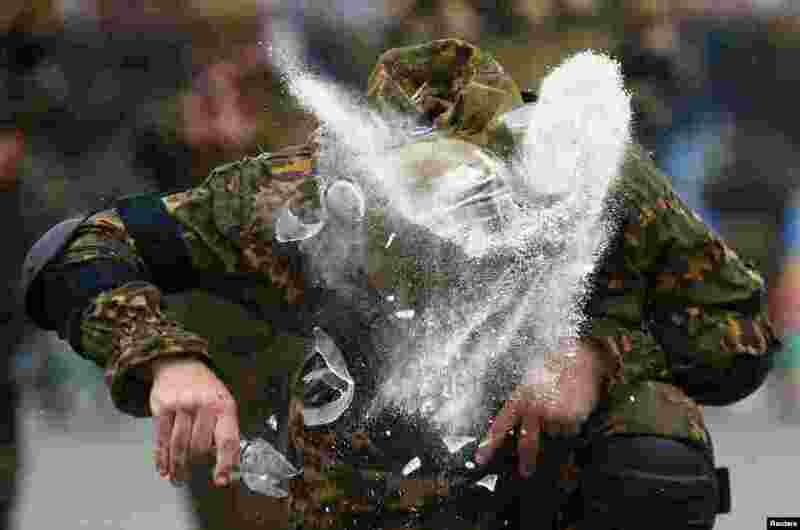 2 Belarusian paratroopers perform during the celebration of the Day of the Paratrooper, in Minsk, Belarus, July 29, 2017. 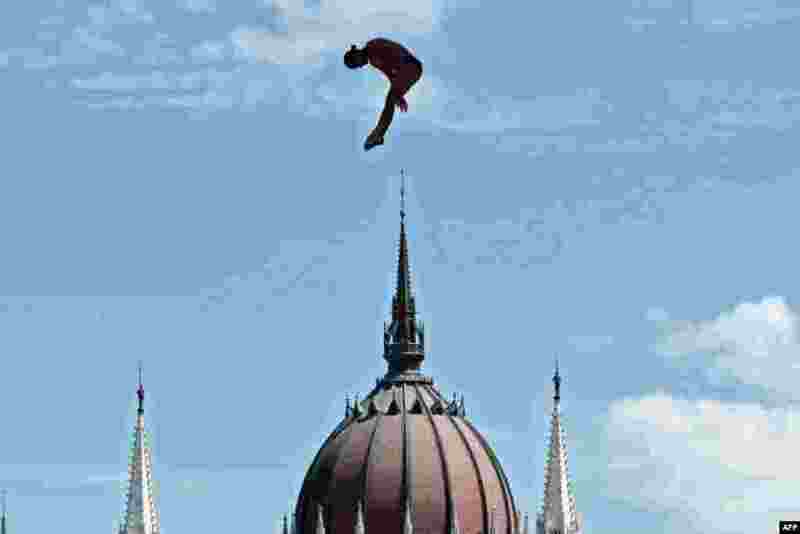 3 Columbia's Orlando Duque competes in round 3 of the men's High Diving competition at the 2017 FINA World Championships in Budapest, Hungary. 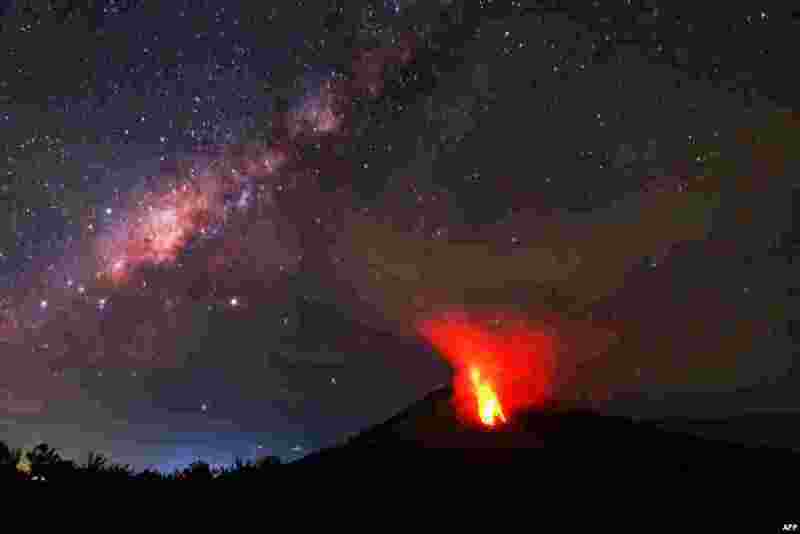 4 Hot lava flows down the Mount Sinabung volcano in Karo, North Sumatra, Indonesia.